Need some sparkle on New Years? Then my starry nights series is for you! This week is all about cleaning up and organizing my studio. With all the shows I did the last few months I would grab things, dump things, create piles and rummage thru shelves. Boy what a disaster I have now! I have started with the 2 closets - almost done. That led to a photo/negative project which is nearing its end. Then the shelves and work tables. Last on the list is to take an empty hand vac and collect all the beads that have accumulated on the floor. By next week it should feel like a new place! Then my work can start anew. These porcelain art beads have been so popular! I started with 20 beads and as of this past weekend I only have 4 left. The beads are designed by Kenneth Chen, a landscape architect and jewelry designer from Princeton, New Jersey. Each bead is a masterpiece, painted and decorated by hand with vibrant colors with 24K gold or platinum glaze and fired at temperatures of over 1000 degrees. 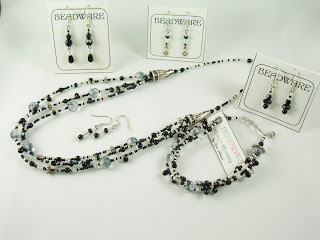 To direct the focus to the art bead I select a mix of seed beads for the necklace that highlight each art beads colors. We heard from many folks who could not make it last weekend to the Holiday Art Show & Sale because of the crazy rain and flooding. So, we decided to do it again this coming Saturday!! Same time 11-4 and same place - my home. No spinning demo, herbed oils or pottery this time, but there will be Beadware jewelry, Noelle Morris photography and Eastern Wind Glass items. And just added - Dawn LaGrave with her amazing 3-D kaleidoscope paper art!! A perfect time to pick up those last gifts on your list!! 5 artists, food and holiday cheer! I have done shows out of my home since 2001 for folks on my mailing list. They are so fun! This weekend's event features 5 artist and their wares. Jewelry, glass, clay, photography and herbed olive oils. There will be a spinning demo all day Sunday - the fleece will be flying! If you did not get your invitation then you are not on my mailing list - contact me to get on the list. Besides shopping at my holiday sale this weekend (shameless self promotion!) here is a great article about supporting your local businesses from the newspaper here in Kitsap County, Wa. This weekend I was telling a customer about how a necklace came to be - it started out as something much different that a friend gave me. My friend had asked me to make her a bracelet out of a necklace that she never wore and then keep the left overs. I have done this several times. It is fun! Here are a few examples. 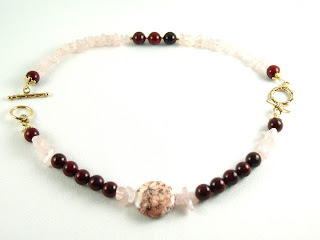 a choker accented by chocolate jasper with a handcrafted clasp. A strand of rose quartz and a strand of rich red bead became an assortment of bracelets. A strand of hand carved bone beads became a lariat with yellow chalcedony, earrings and a jasper bracelet. earrings, a bracelet and two necklaces combining magnesite, bronze pearls, copper and magic jasper. 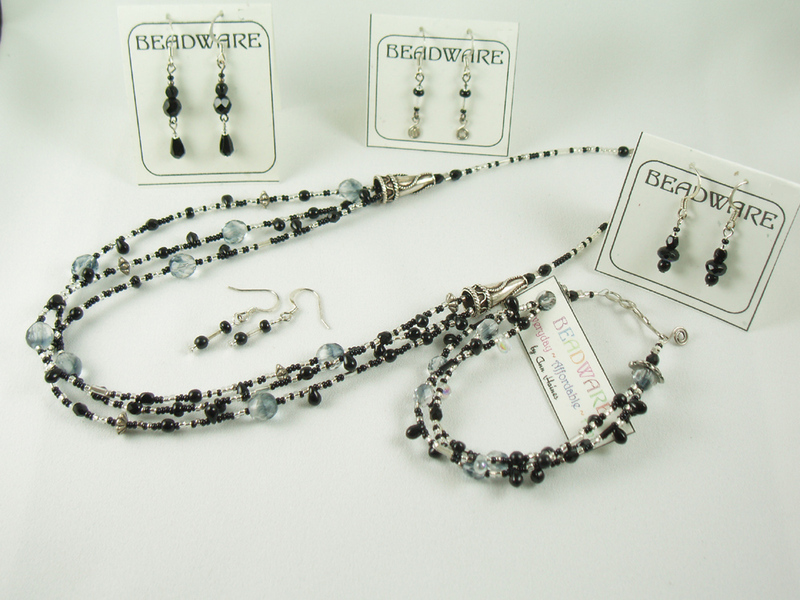 This week you can find Beadware at the Victorian Christmas show at the Puyallup Fairgrounds and Event Center. Booth #262 in the Expo Hall. There is a lot to see and do there that will put you in the holiday spirit!